According to a recent leak, Apple is set to release a new iPhone on the 10th of September. According to AllThingsD, the next iPhone will be unveiled on the 10th of September. During this special event, a cheaper iPhone could also be released as an attempt to enter the mid-range smartphone market. Earlier rumors indicated that a new iPhone may be out even before the end of this summer, but that's highly unlikely now. The new iPhones get released. They are named iPhone 6 and iPhone 5S. The cheaper model is iPhone 5C. According to some sources, we may only see the release of iPhone 5C and iPhone 5S. The release date of iOS 7 is revealed. Even more, Apple may release the final build now, just in time to ship the new iPhones with it preinstalled. 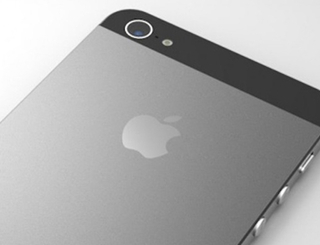 The iPhone 5S is expected to feature dual LED flash for taking better pictures in low light situations. Low motion photography would be an interesting and surprising addition to the iPhone 5S, but highly unlikely to become reality. A fingerprint reader is also featured. The unsubsidized iPhone 5C may cost $330 or even less. That can be achieved by using last generation components and dropping some features. The release of Mac OS X Mavericks could be the big surprise of the event, but we should not rule it out completely. As usual, Apple representatives are silent, declining to comment on the timing of the upcoming events.